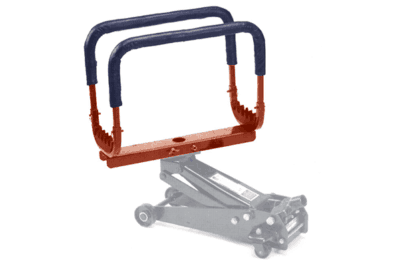 The Work Stand Wheeler is a simple and inexpensive wheeled platform accessory for existing work stands (X frame) which allows technicians to easily move loaded work stands from repair to paint prep and paint booths. 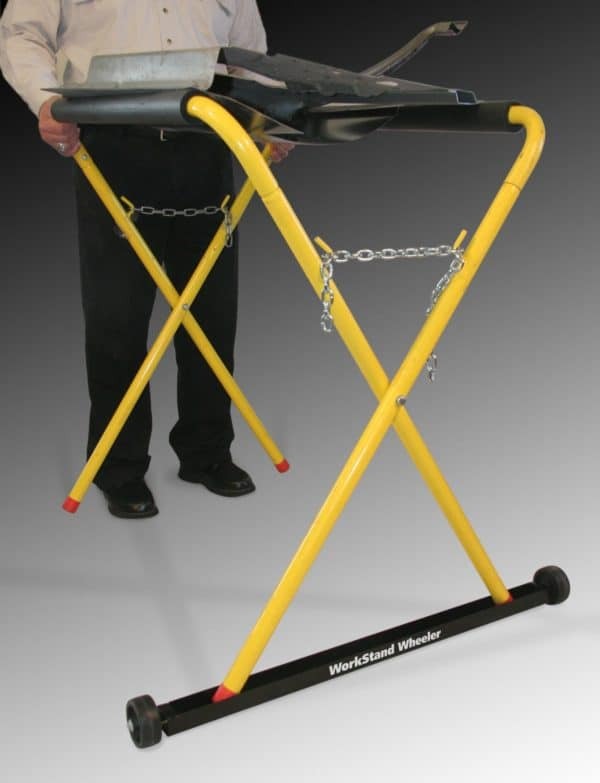 The Work Stand Wheeler’s 1-1/2″ wide X 36” long steel channel holds either round or square tube stand (X frame) work stands in seconds. 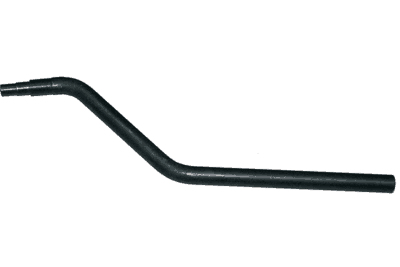 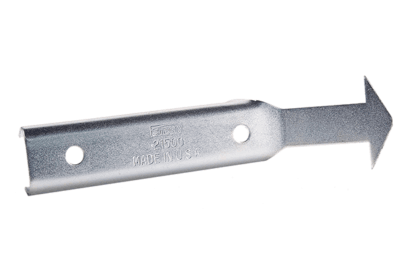 This self up righting channel with its two large 3” diameter and 1-1/4″ wide wheel allows the technician to either push or pull the loaded work stand from station to station and over booth grates. 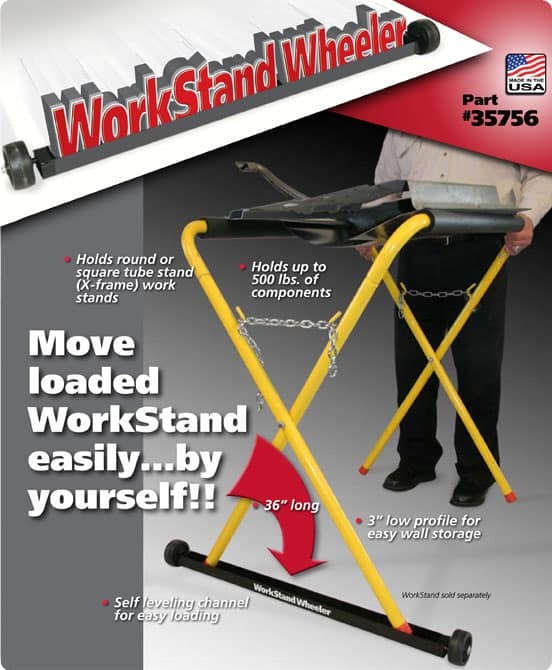 The Work Stand Wheeler can accommodate up to a 32” wide extended work stand and easily hold the work stand with up to 500 lbs of components. 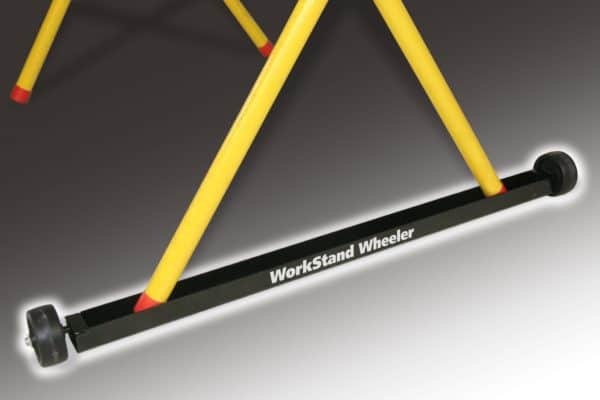 The Work Stand Wheeler is easily transferable to other work stands and its low 3” high profile allows for easy wall storage.